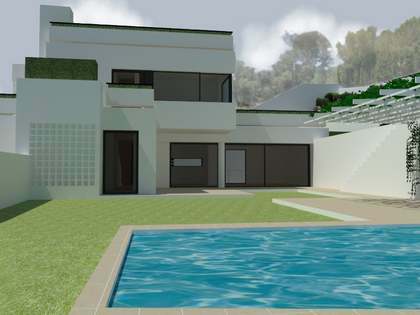 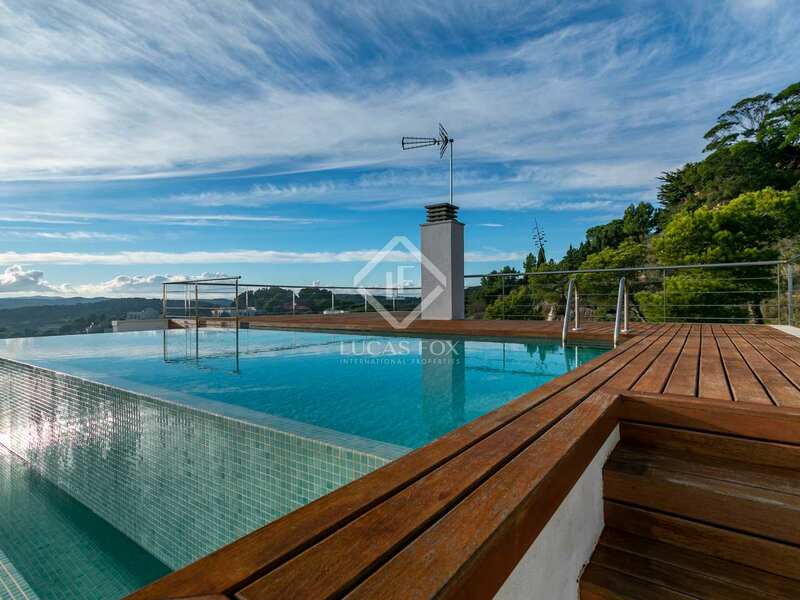 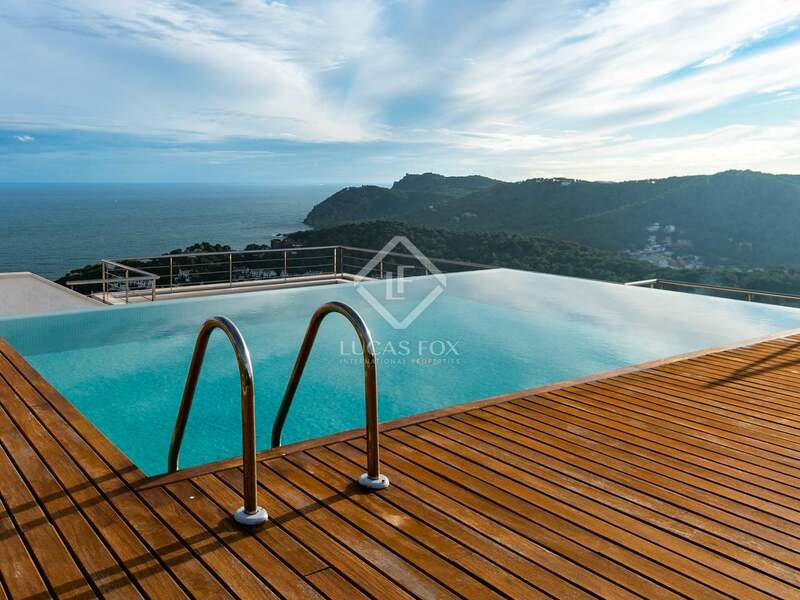 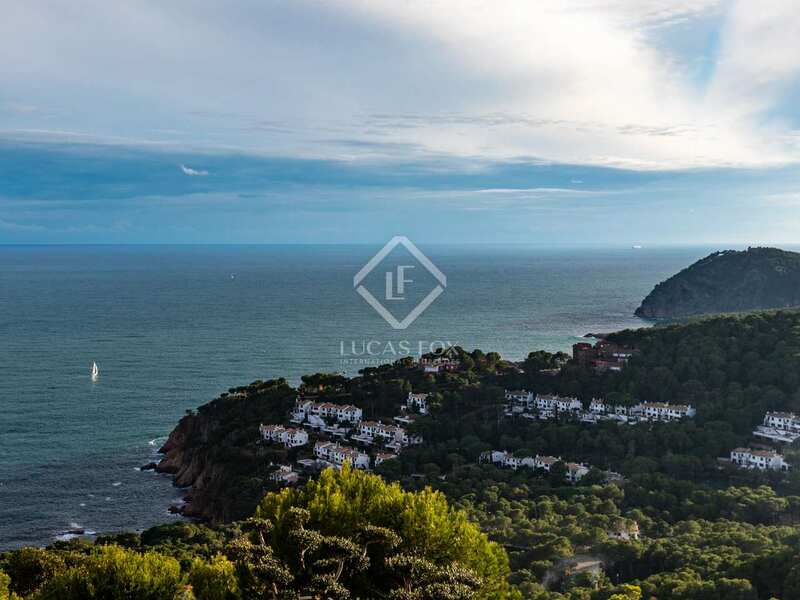 Brand new luxury villa with infinity pool and panoramic views of the sea and the mountains on the Costa Brava. 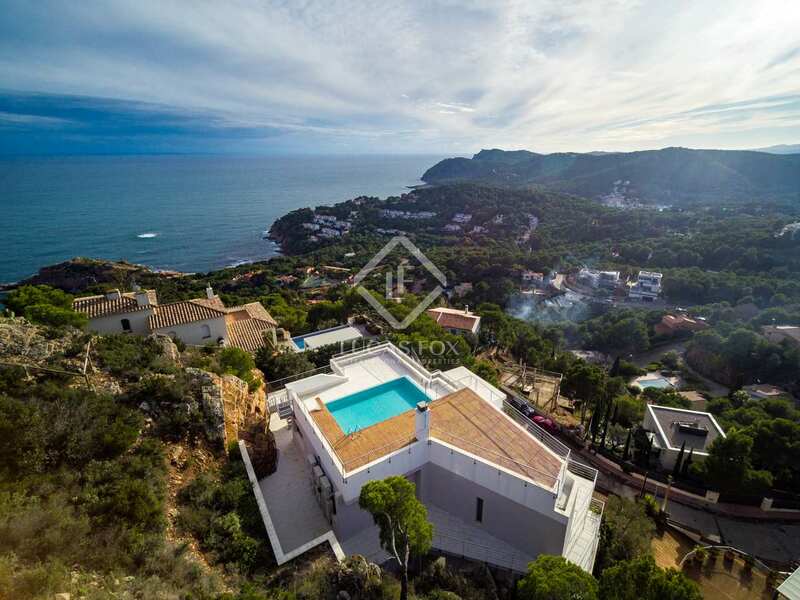 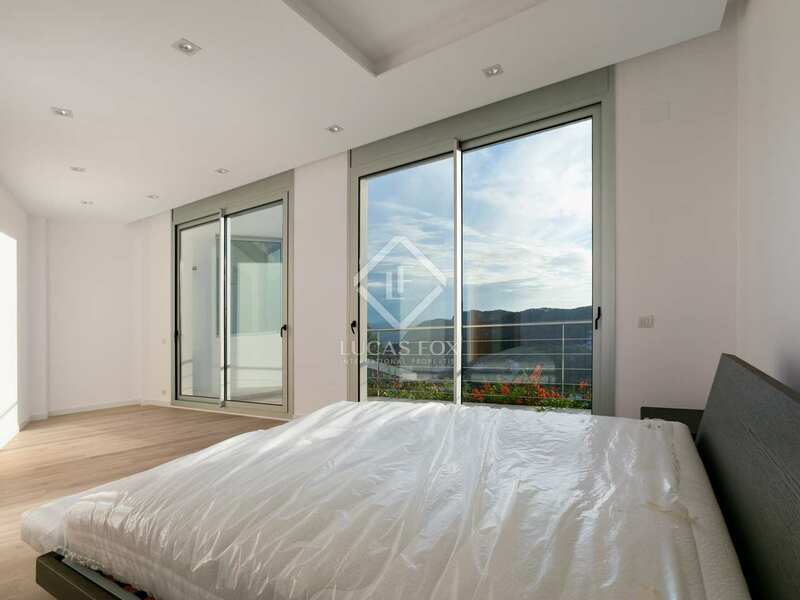 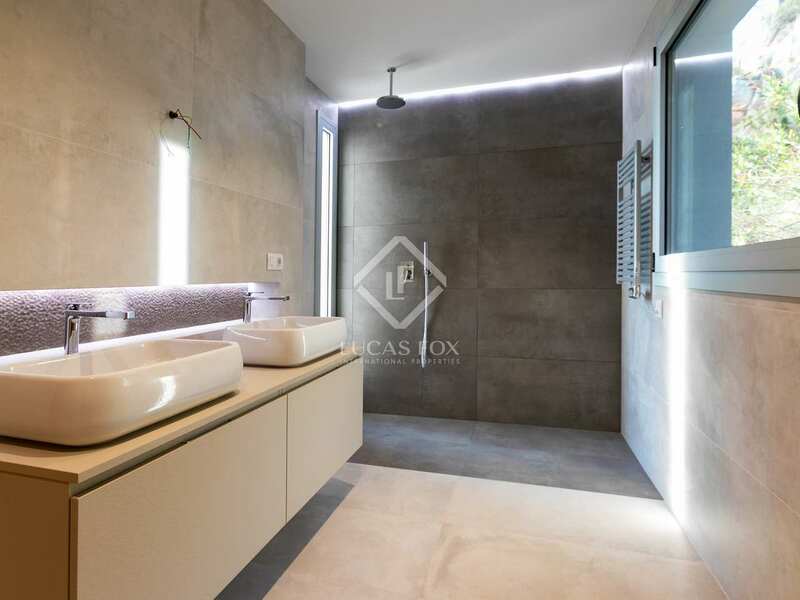 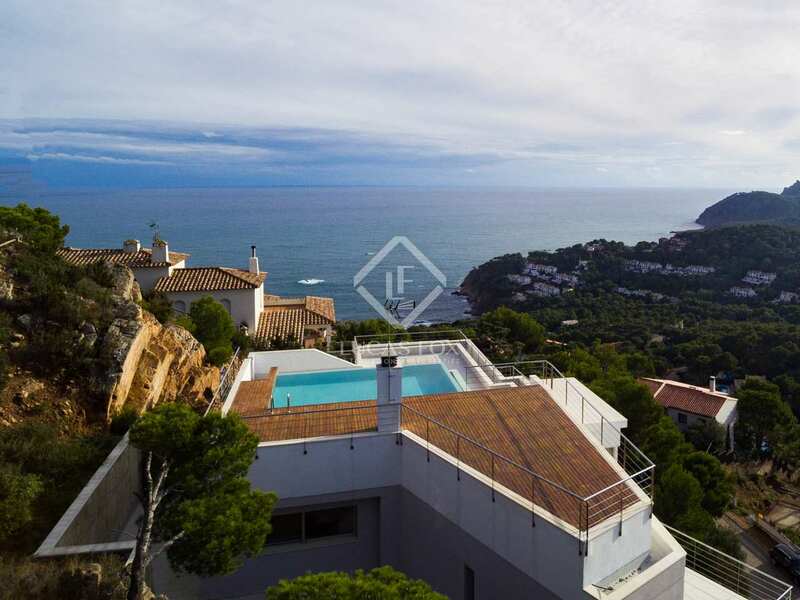 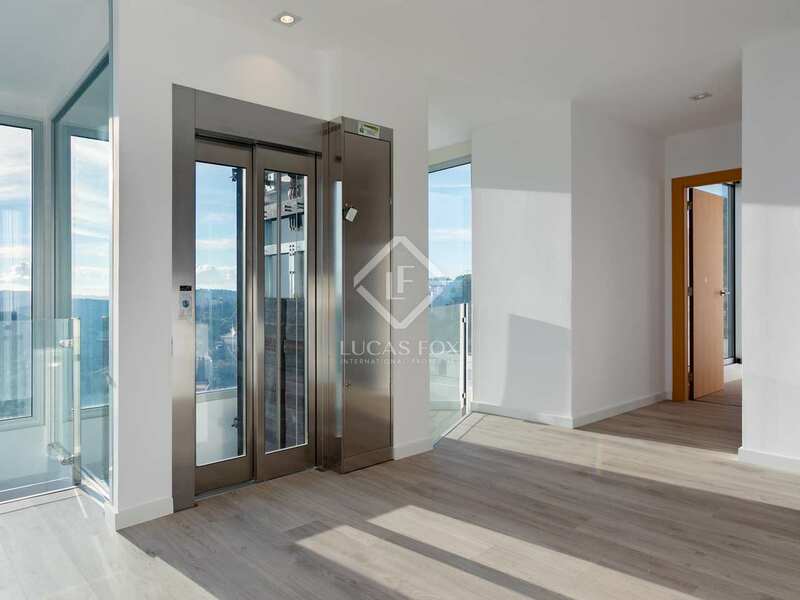 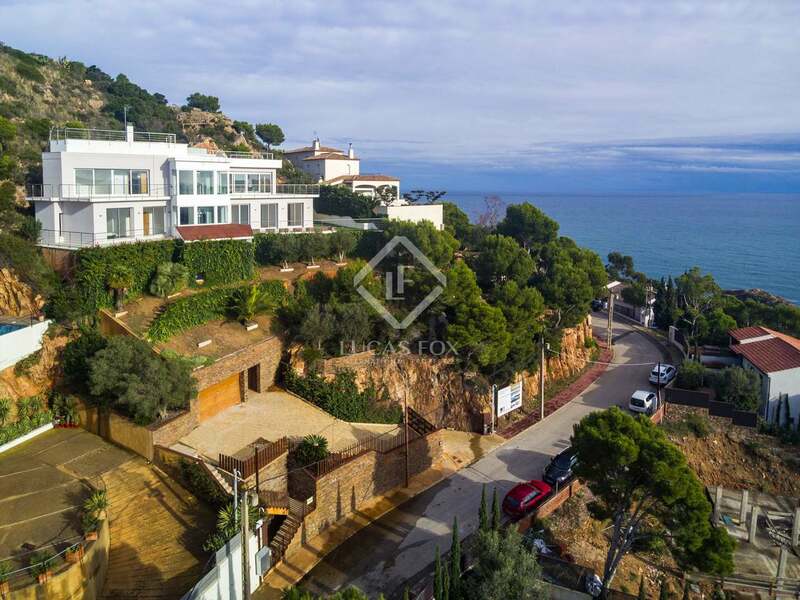 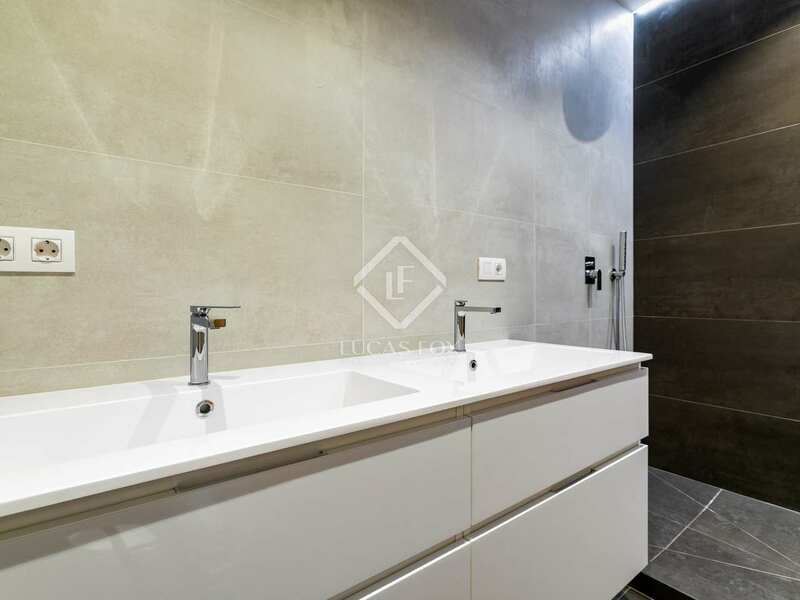 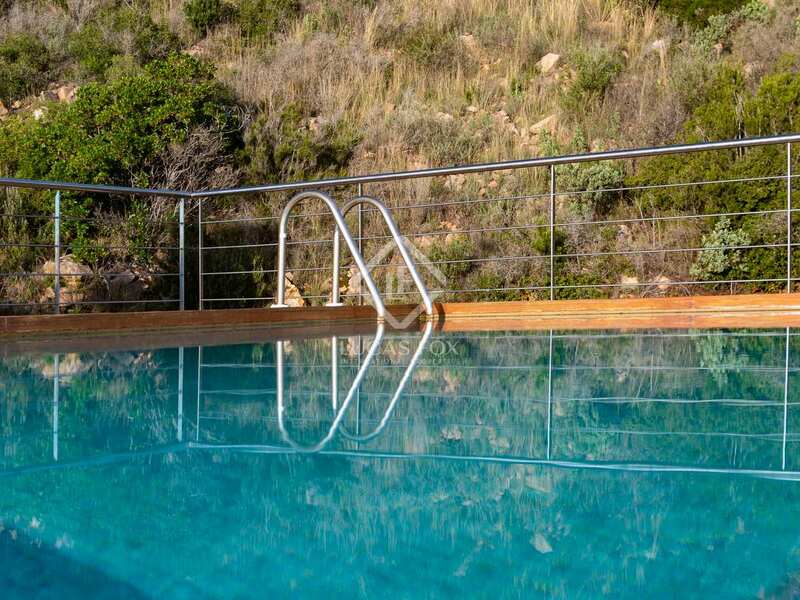 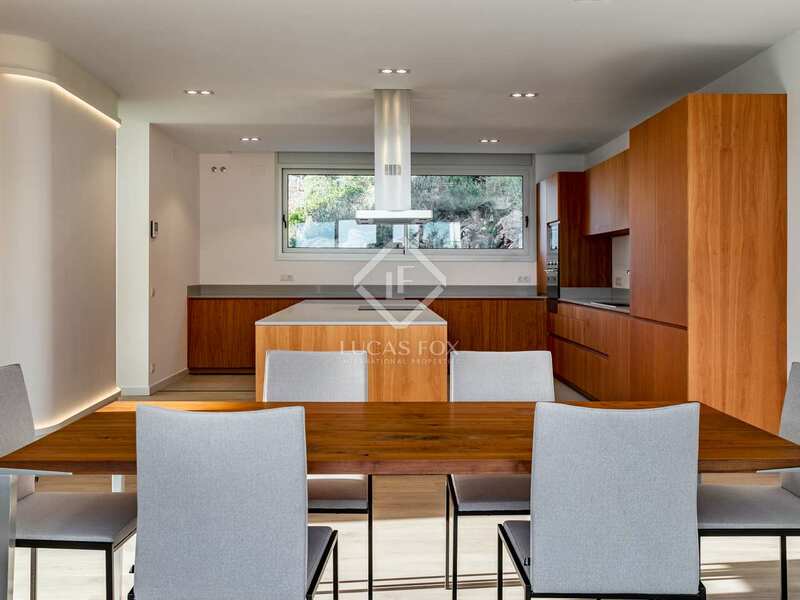 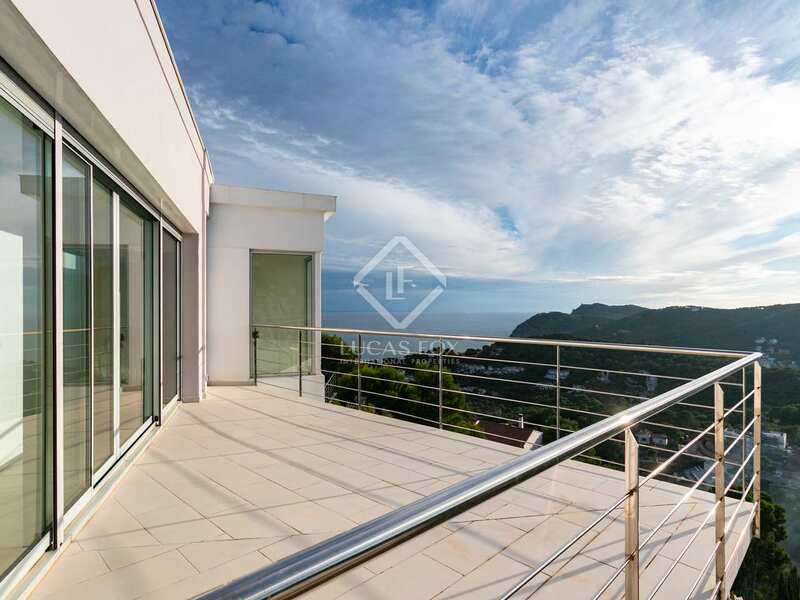 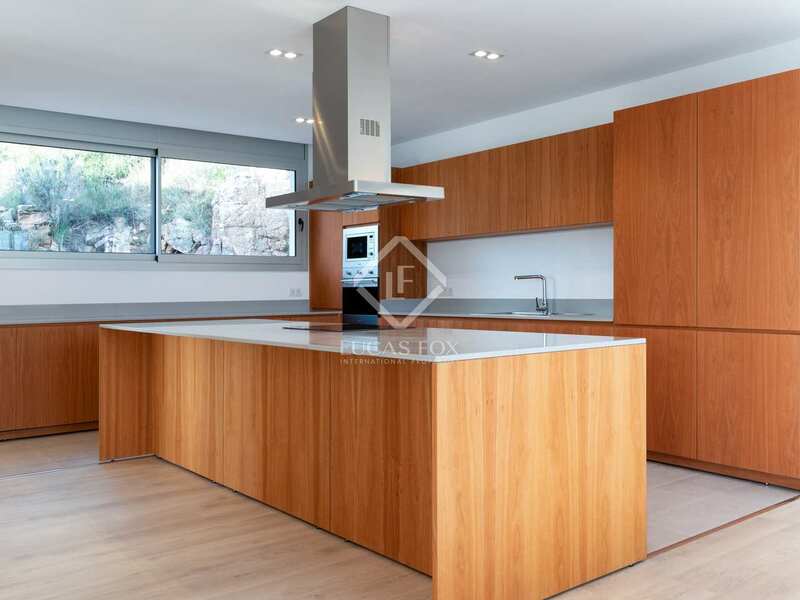 This luxurious villa is located between the towns of Tamariu and Fornells, in an exclusive residential community, surrounded by nature with panoramic views of the sea and the mountains. 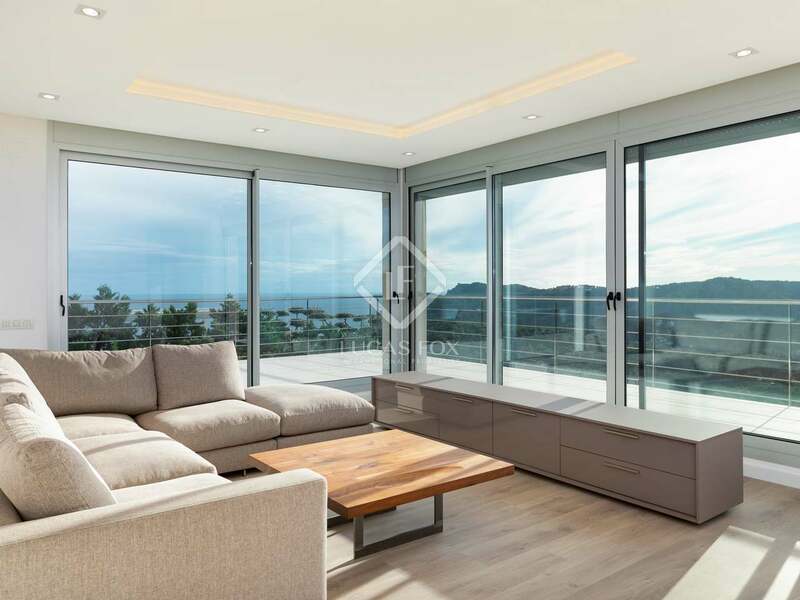 It is a large, modern house, built at the end of 2017, which receives natural light throughout the day thanks to its unbeatable position. 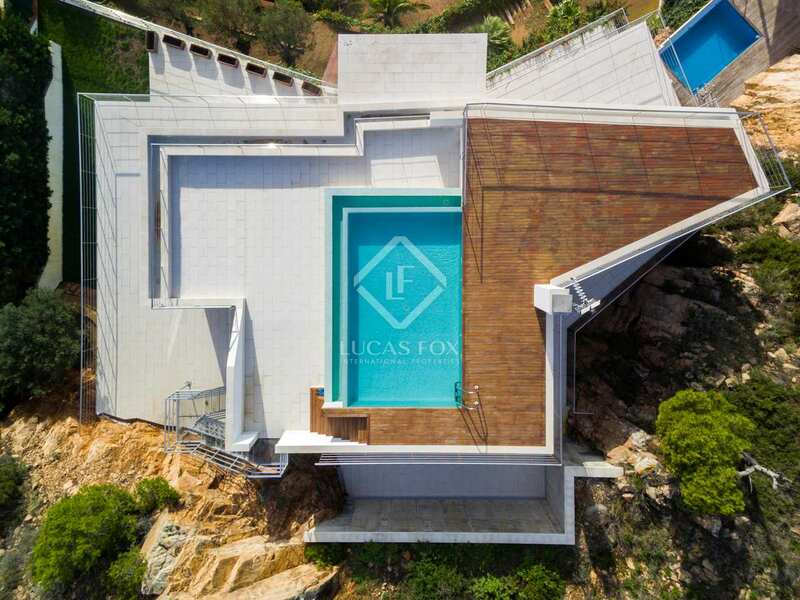 The house was built on a hill, taking advantage of its natural shape and this has influenced the design of some of the rooms. 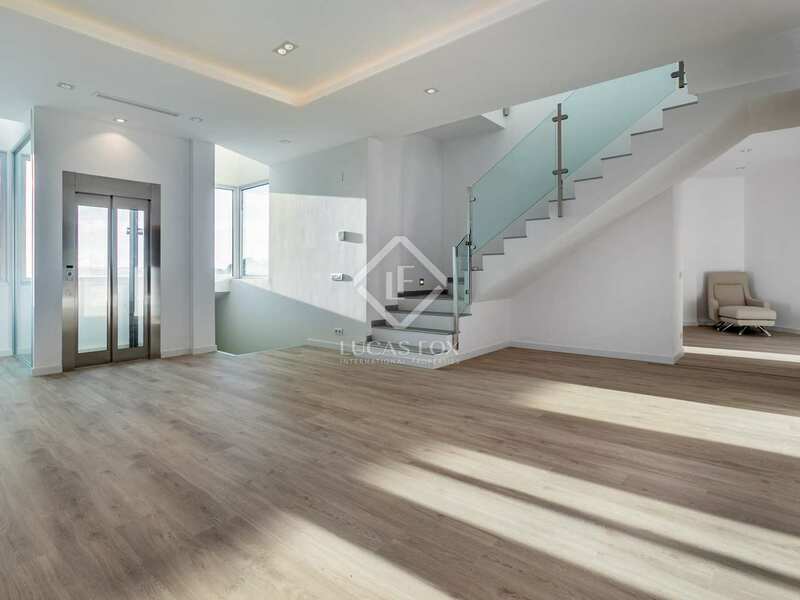 It is organised over 3 floors. 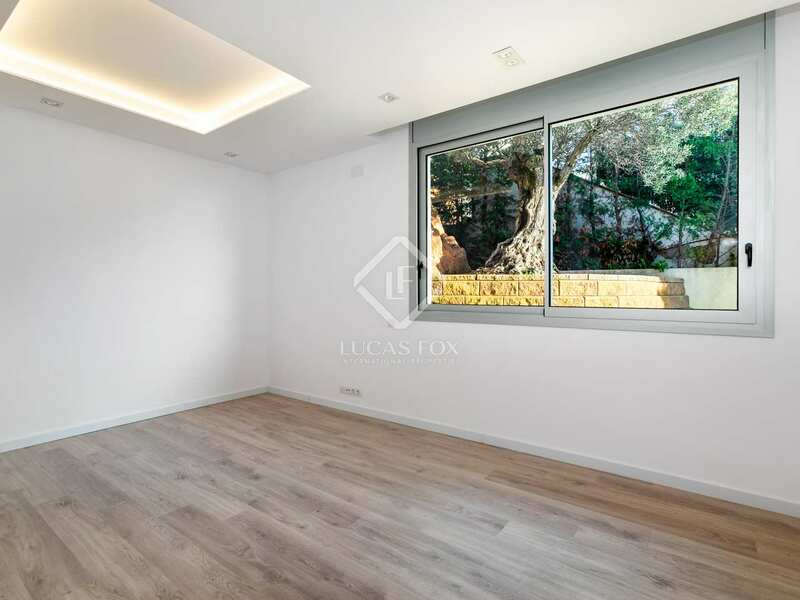 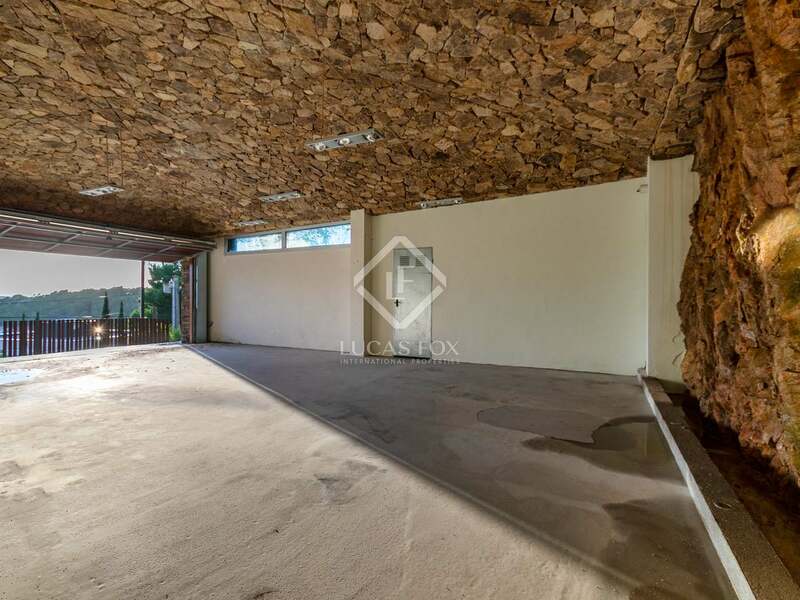 The ground floor consists of a multipurpose room that can be used as a storage room and a private garage in which one of the mountainsides has been used as a wall, integrating nature into the space. 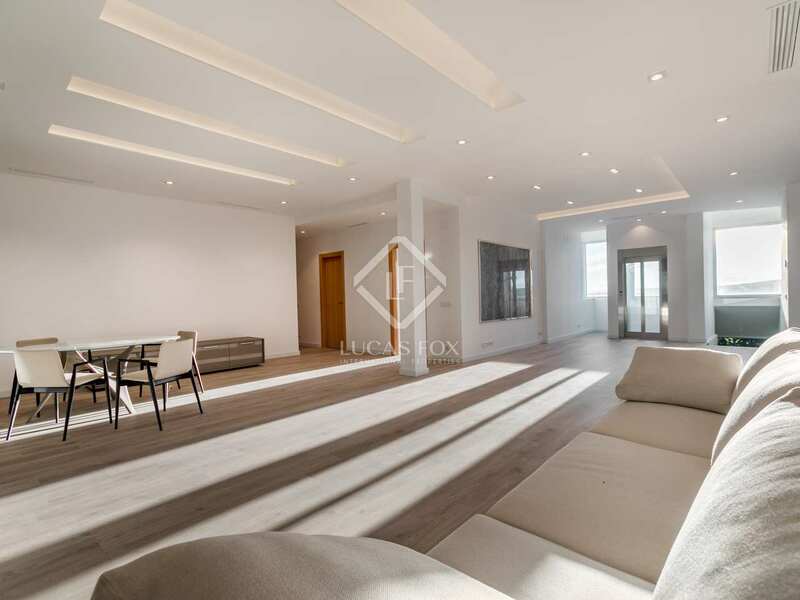 The second floor houses a room that was designed as a multifunctional space and can be used as a home cinema or games room. 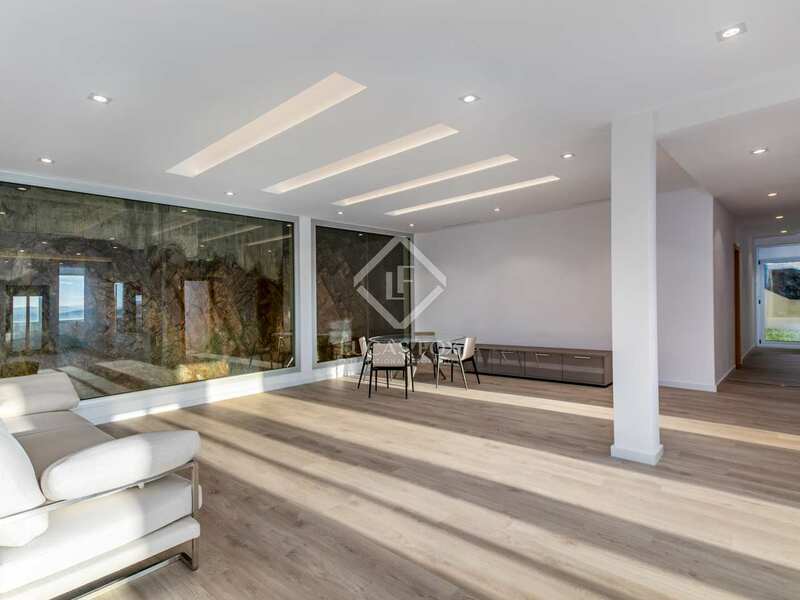 It has a glass wall, with an illuminated base, which faces the mountain and allows you to appreciate its rock formations. 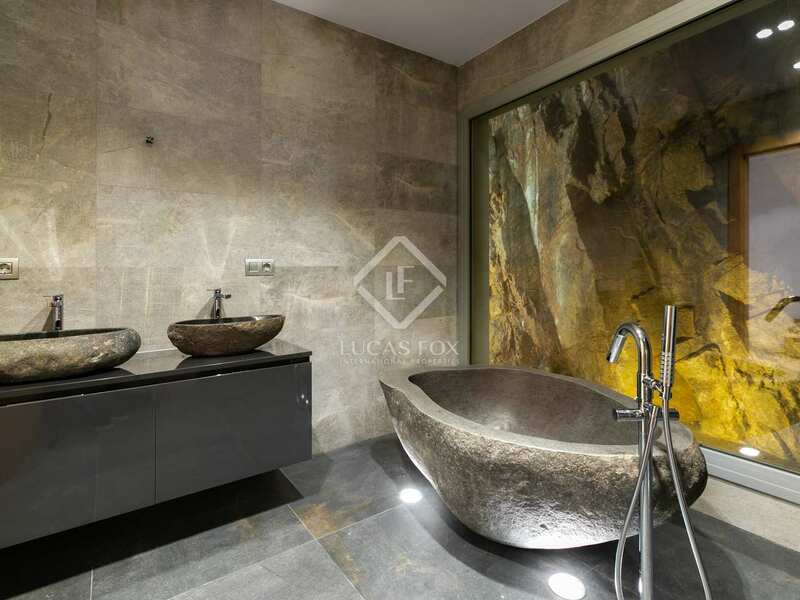 In this area we also find 5 bedrooms with private bathrooms (one of them with a stone bath). 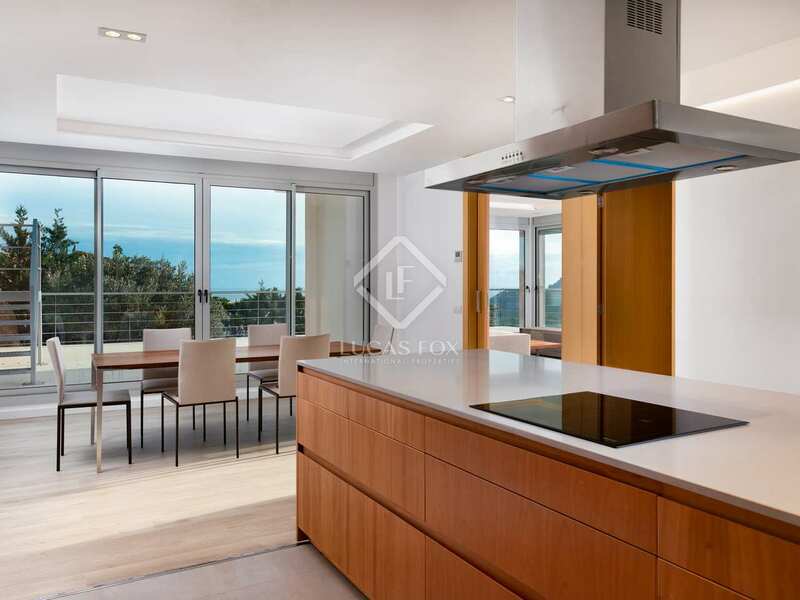 Finally, on the top floor we find a kitchen, another living room and another bedroom which complete the house. 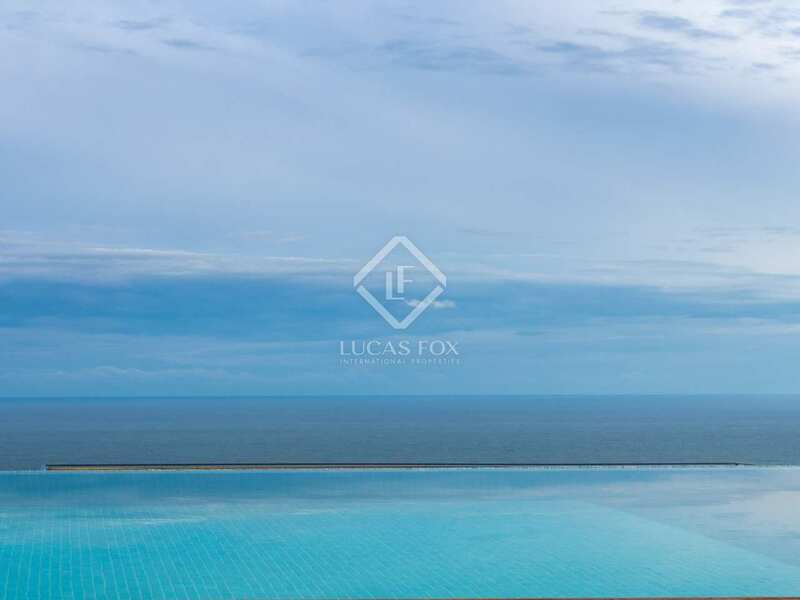 The exterior offers several terraces, a chill out area where you can relax with friends and family and an impressive infinity pool with panoramic views of the sea. 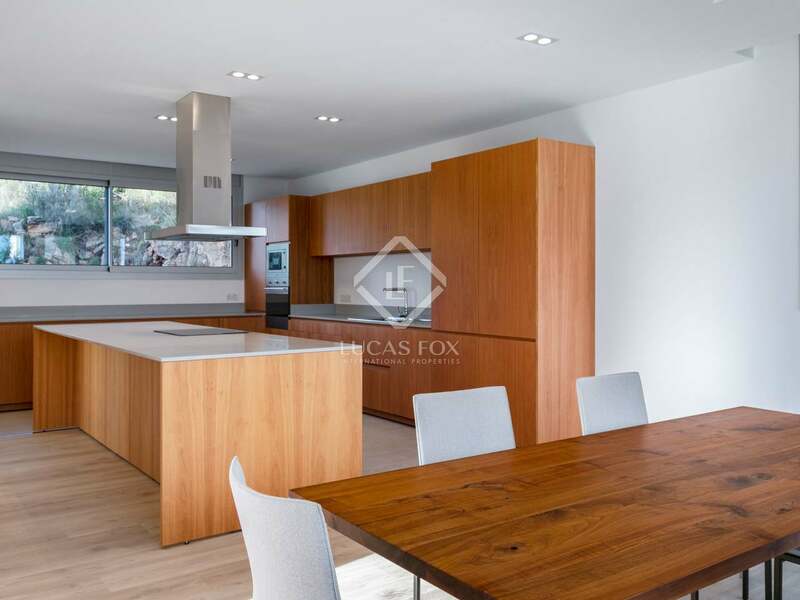 The house was built with high quality materials and equipment, including appliances, LED lighting throughout, double glazed windows and air conditioning system in each of the rooms to ensure your comfort at any time of the year. 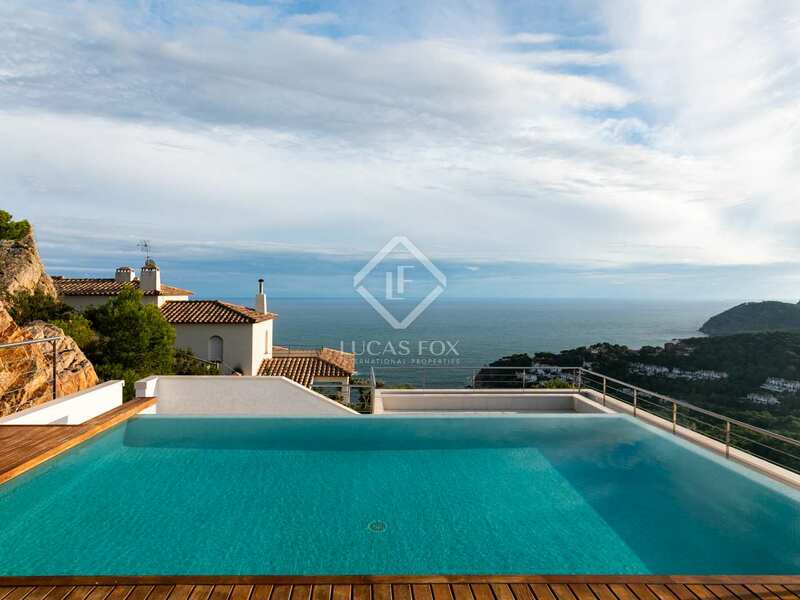 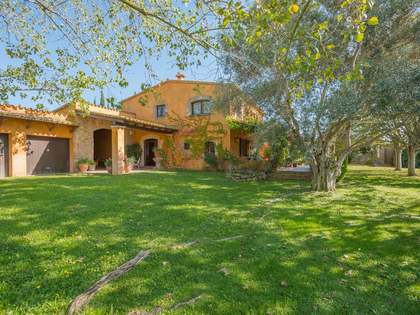 Without a doubt, it is a perfect villa for those looking for a spacious home where you can enjoy the sunsets from any terrace or room and comfortable living all year round. 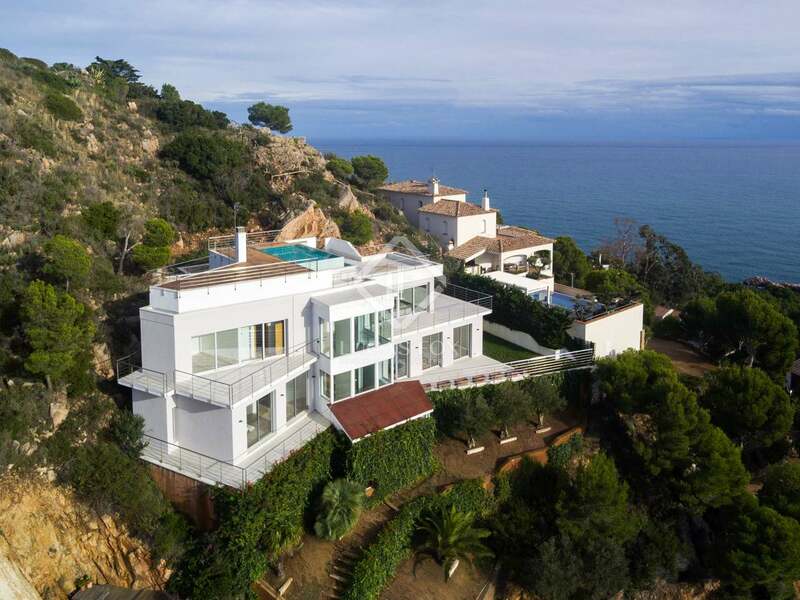 Contact us to visit this magnificent villa overlooking the Mediterranean Sea. 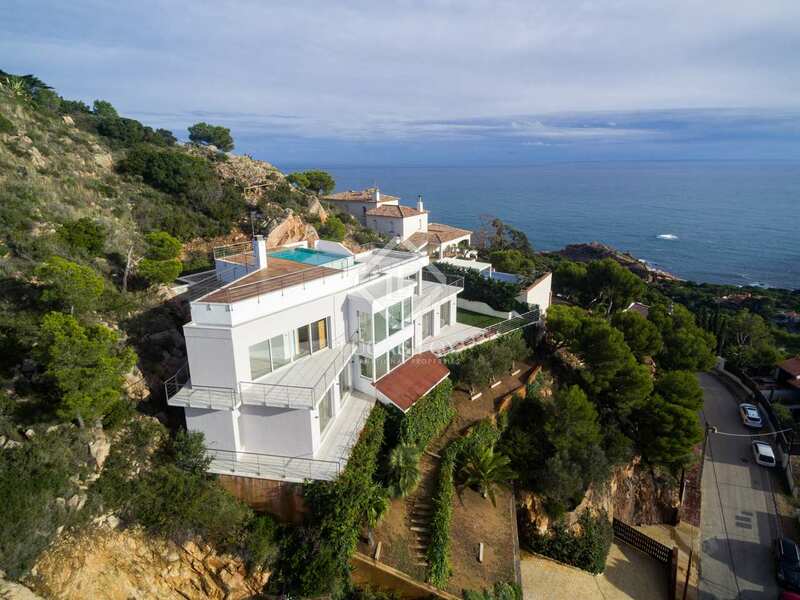 The villa enjoys a privileged location between Tamariu and Fornells, home to some of the most beautiful beaches of the Costa Brava. 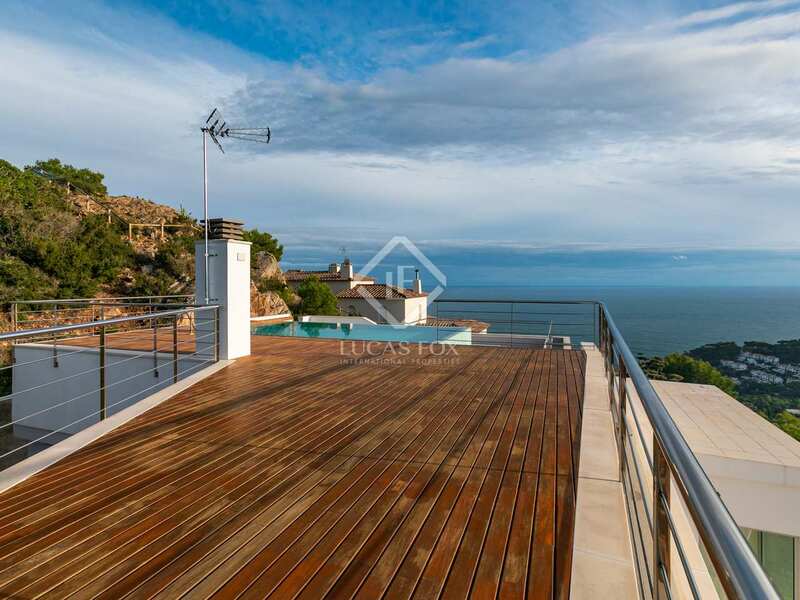 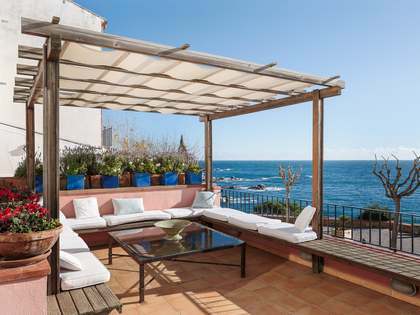 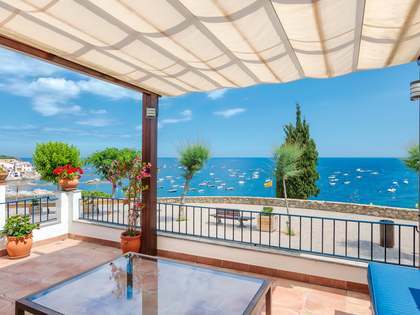 In fact, the terrace of the house offers wonderful views of the coves of Tamariu and Aigua Xelida. 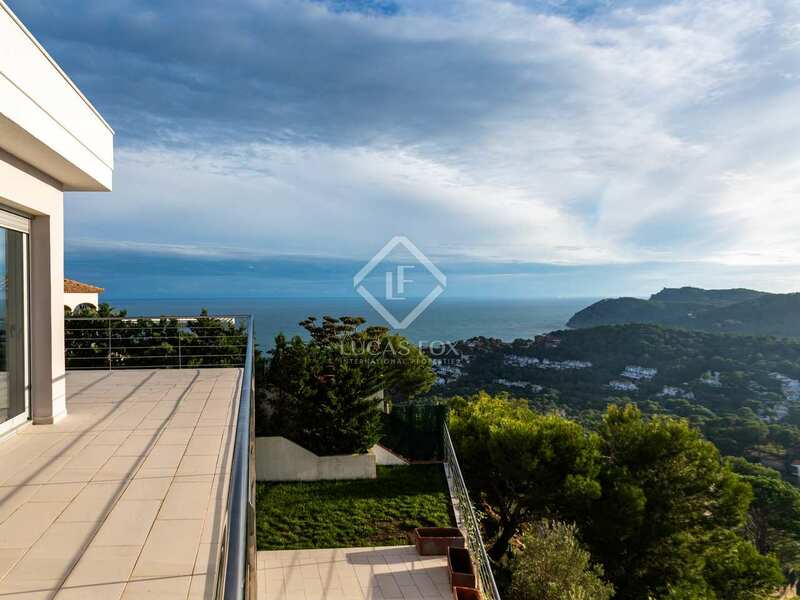 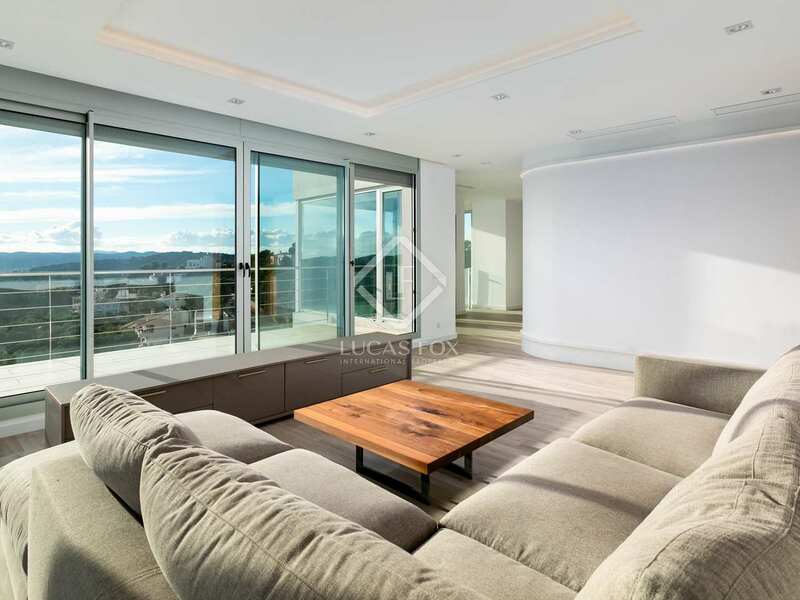 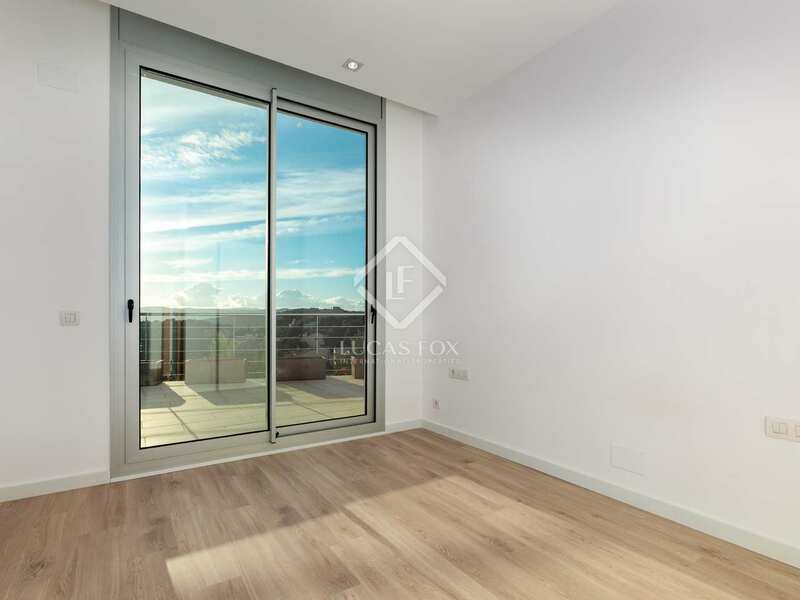 It is located in an exclusive residential complex in a unique location by the sea.